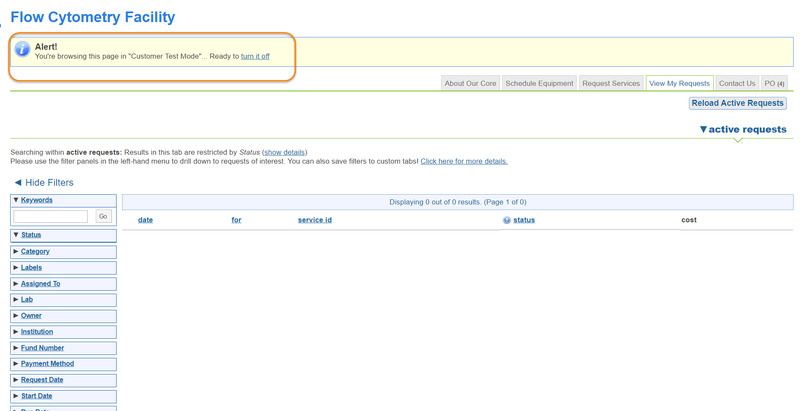 Customer test mode allows a core administrator to see their site as a customer would. This is particularly helpful once a core is live and no longer logs in with a test user to see site changes. To activate this mode, click on the link that says 'Customer Test Mode'. Once in customer test mode, you can navigate your site and see what everything looks like. Please note any requests or reservations you make will not be permanent. Once you are ready to navigate back into your site, click on the 'turn it off' link in the yellow bar at the top of the site.